Kecskemét is the capital of the Hungarian region of Bács-Kiskun and has approximately 110,000 inhabitants. It is located some 80 kilometres from Budapest, between the Danube and Tisza Rivers, and is an important crossroad. Its economy, traditionally based on agriculture, especially grapes and fruit, experienced strong growth around 1880, when its vineyards resisted a phylloxera attack thanks to its sandy soil. This is in contrast to what happened in the rest of the country, where the vines were devastated, as they were throughout most of Europe. The most important examples of Hungarian Art Nouveau can be found near the city's main square, Kossuth tér. 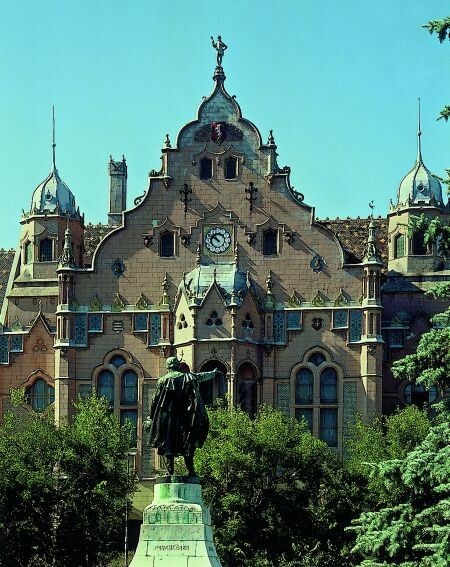 The Town Hall was built between 1893 and 1897 to commemorate the thousand-year anniversary of the founding of the Hungarian State (1896) and was designed by Ödön Lechner and Gyula Pártos. 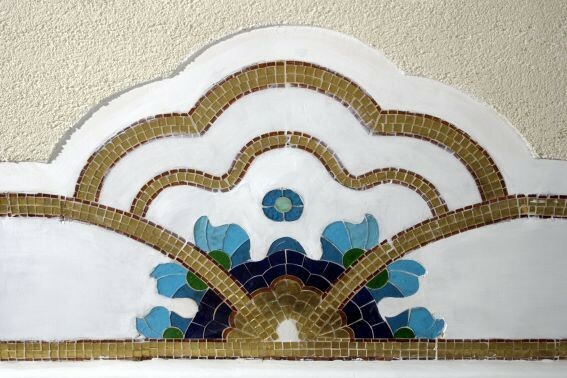 Its façade combines typical traditional Hungarian architectural elements with wall tiles from the Zsolnay factory. Two characteristic features are the façade's irregular outline and the main bell tower, while highlights inside include the main session hall, which is decorated with paintings of nationalist subjects by Bertalan Székely. 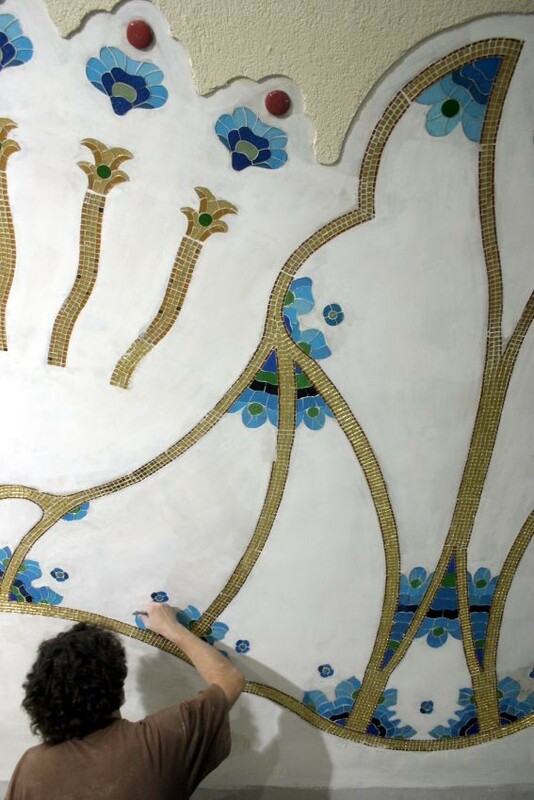 The Cifra Palota (Ornamental Palace), at Rákóczi út 1, is a magnificent example of Hungarian architecture and is decorated with colourful Zsolnay ceramic tiles. These have been placed over monochrome stucco and this effect seems to reproduce the aesthetics of popular Hungarian craftsmanship. Based on plans by Géza Márkus (1902), it was originally a combined shop, casino and residence. It currently houses an art gallery museum and some of its rooms can still be visited, such as the Peacock Room. The third outstanding Art Nouveau work in the city is the Új-kollégium (New School), located at Szabadság tér 7. Designed by Valér Mende and Lajos Dombi, it was built between 1911 and 1913 and integrated within an existing Calvinist school complex. 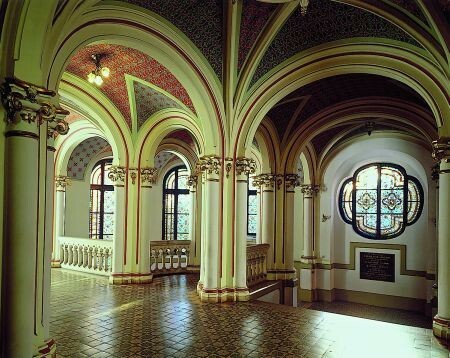 The building has forms inspired by traditional architecture from Transylvania, a region that now belongs to Romania but was part of the Austro-Hungarian Empire at the time. The former Artisans House, which is currently a youth centre, can be found back in Kossuth tér. It was built in 1907 and was the result of a competition by the Artisans Association in 1904, which was won by Marcell Komor and Dezsö Jakab. Much of the original stucco and stained glass decoration inside has been restored and the building now houses the Otthon Mozi Cinema.